Giving something back has never been easier. Better still, it’s free. OTTAWA – April 19, 2010 – Recycle My Cell – Canada’s free cell phone recycling program – makes it simple for Canadians to find out how and where to dispose of their used cell phones, smartphones, pagers, wireless air cards, batteries, chargers, headsets and other accessories. In addition, recycling your old phone helps numerous national and local charities that benefit from the proceeds of the recycled or refurbished devices. The bilingual Web site – www.RecycleMyCell.ca and www.recyclemoncell.ca – allows consumers to simply enter their postal code to locate the 10 drop-off locations closest to them where their devices will be accepted, regardless of brand or condition. Since the launch of the Recycle My Cell program just over one year ago, the number of drop-off locations across Canada has grown to more than 3,750. If someone can’t visit one of these drop-off locations in person, the Web site also provides printable postage-paid labels to use for mailing these devices, making recycling a wireless device hassle-free and at no cost to the consumer. Recycle My Cell is run by the Canadian Wireless Telecommunications Association (CWTA), in conjunction with cell phone carriers and handset manufacturers who have come together to raise awareness about the importance of cell phone recycling. The goal of this program is to keep handsets from entering Canada’s landfills. And just as important, the proceeds from the recycled devices contribute to some great charities at the same time. Visitors to the Web site will also find some e-waste facts and figures, including links to provincial e-waste management sites. There is also a downloadable brochure and a series of frequently asked questions, as well as information about how consumers can clear their device of all personal data before they drop it off at a recycling site. 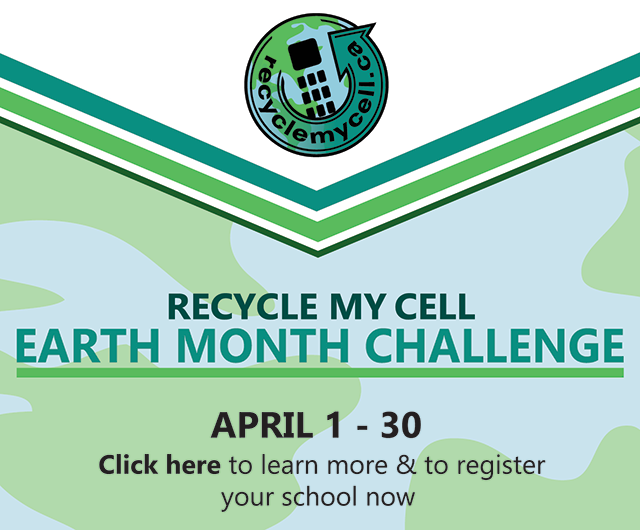 Site visitors with any additional questions can contact a representative by e-mail at info@recyclemycell.ca, or call the toll-free support number at 1-888-797-1740. • Just since 2006, Canadian wireless companies have collected more than one million wireless devices through various recycling initiatives. • RecycleMyCell.ca has had 31,000 site visitors since launch. • A recent survey found that the majority of Canadians keep their old phones in storage. When asked, two-thirds of Canadians with an old phone in storage said they would be willing to recycle it. • There are 23 million cell phone subscribers in Canada. • Approximately 96 per cent of the materials in an average mobile device are recyclable. • All of the recyclers involved in the Recycle My Cell are ISO certified or certified under Electronic Product Stewardship Canada’s Recycling Vendor Qualification Program, so they all have environmental management systems in place that guarantee accountability and knowledge of the environmental impacts associated with recycling.